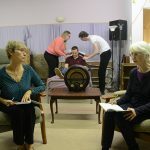 East Kilbride Repertory Theatre Club is one of the most active amateur theatre groups in Scotland. Each year we stage seven productions. Our season begins in September with a full length play and this is followed in October with another. December is pantomime time. The Rep panto runs for two weeks and includes two Saturday matinees. Our pantomime chorus is comprised of up to sixty local children. The scripts, written by Rep members, are very traditional. Play number three is staged in February followed by one in April and the final play of the season is in June. This leaves us just time to hold an AGM and start rehearsals once again for the next season. A full season as described can only be achieved with a large active membership. Not everyone wants to “tread the boards” and the Rep needs members interested in stage-building, stage crew, front of house activities, running the bar and lots of other tasks. The Rep hold regular club workshop nights covering aspects of theatre such as lighting, make-up, accents and production methods etc. The Rep also enjoys a healthy social life with such activities as a Burns’ Night, barbecues, and quiz nights. We are based 9 miles to the south of Glasgow in the New Town of East Kilbride, situated in the local authority of South Lanarkshire. 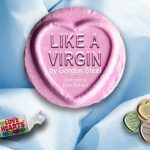 We perform all our productions in East Kilbride Village Theatre. 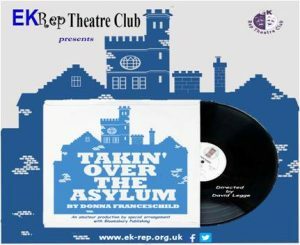 East Kilbride Repertory Theatre Club is a Scottish Charity, SC020852.